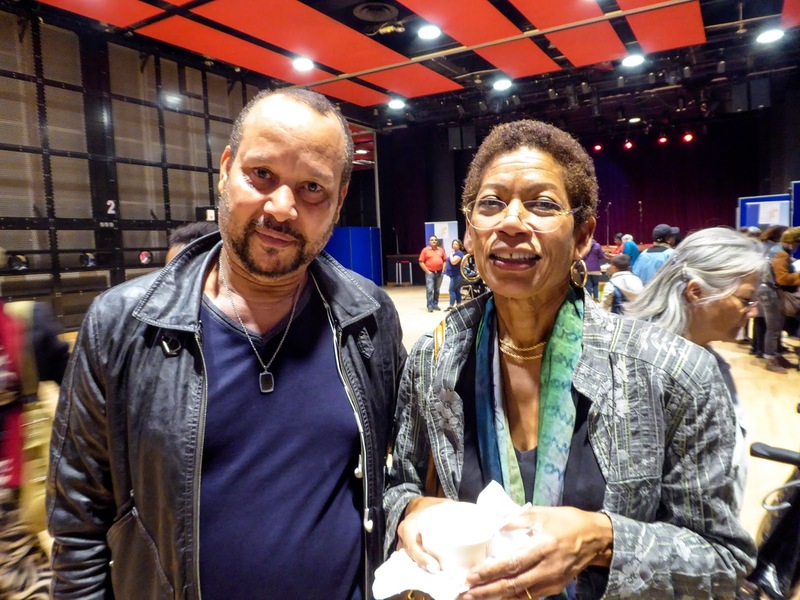 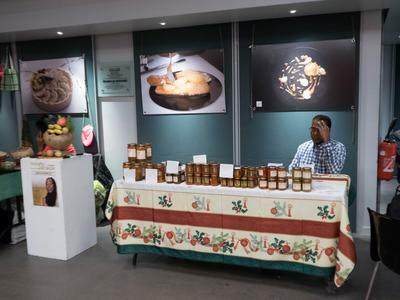 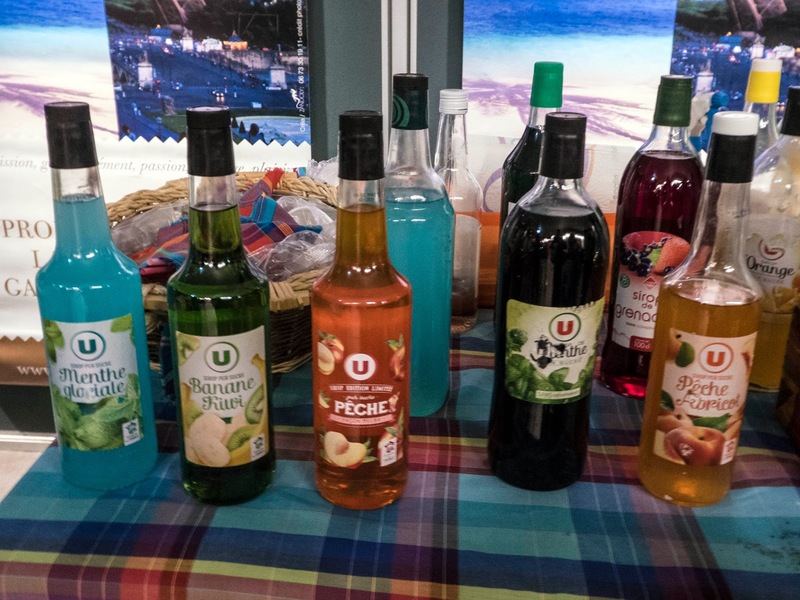 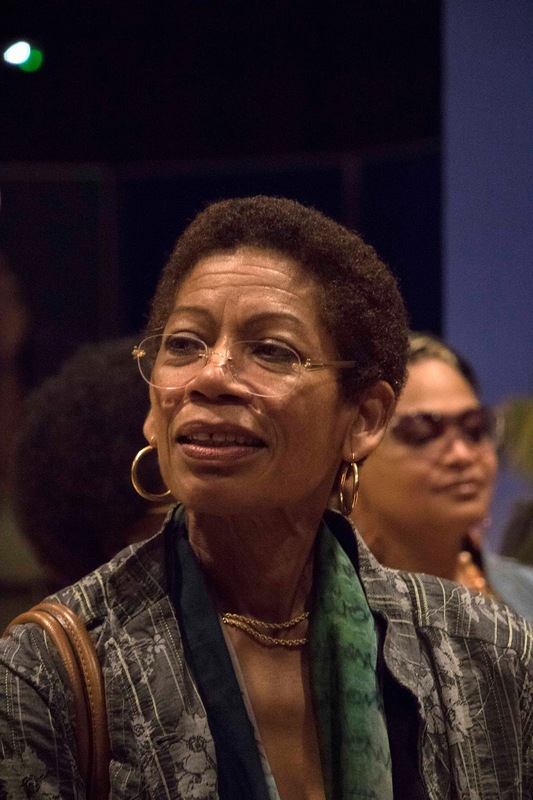 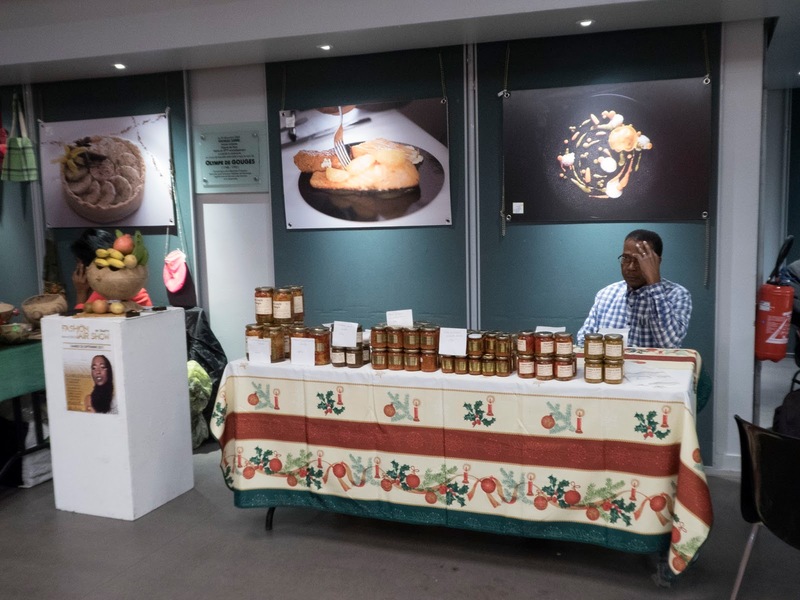 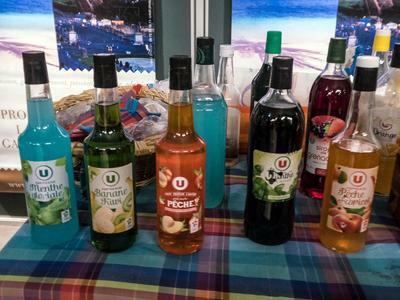 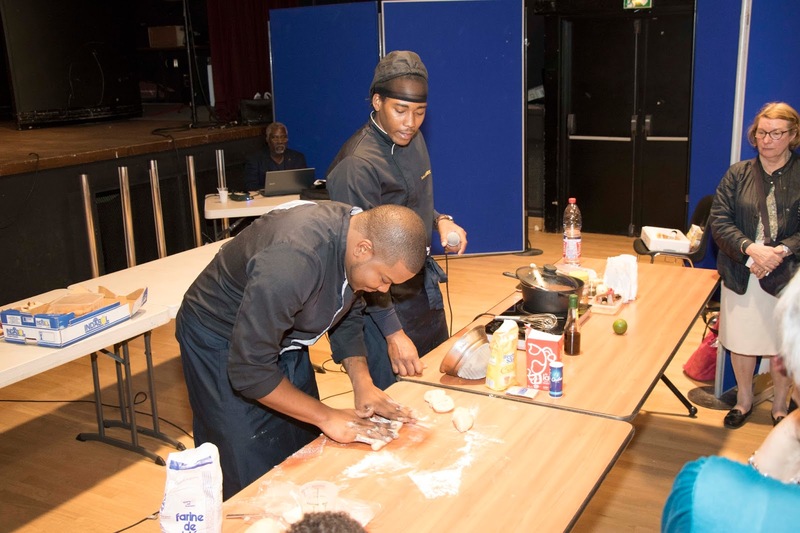 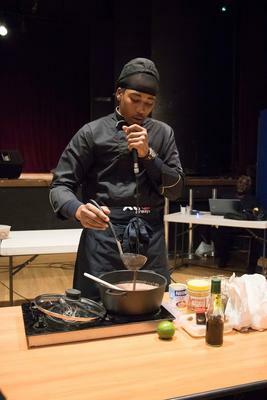 On Friday September 22 and Saturday September 23, the Académie de l'Art Culinaire du Monde Créole (Academy of Culinary Art for the Creole World), hosted an event in the 11th arrondissement as part of this year's Fête de la Gastronomie (Gastronomy Festival). Tom and I attended on Saturday so we could take advantage of the many cooking demonstrations scheduled during the afternoon. 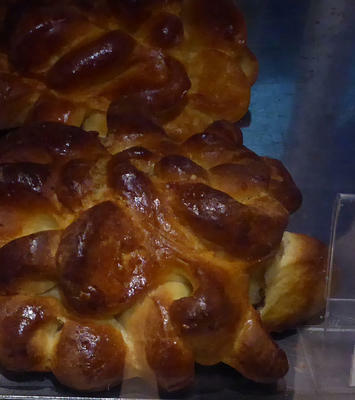 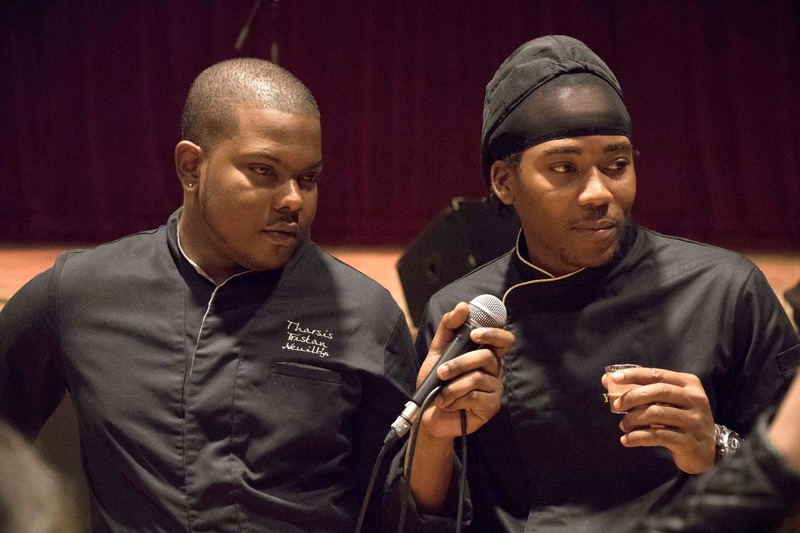 Chefs Tristan Tharsis and Yannis Artigny of the Cercle Gastronomique des Jeunes Chefs Créole demonstrated how to make Pain au beurre, Pomme cannelle (both are similar to French brioche), and Antillean hot chocolate. 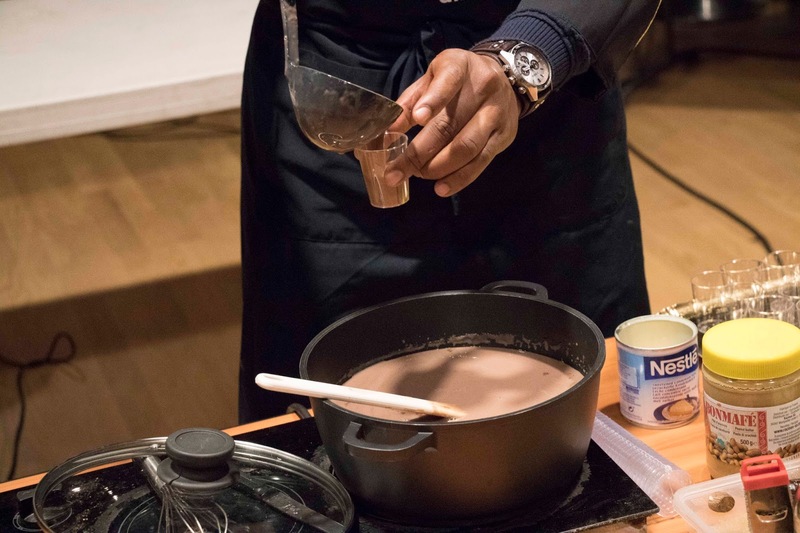 I was surprised to learn that the classic preparation for Antillean hot chocolate begins with infusing water with cinnamon sticks and grated nutmeg and includes lime zest. 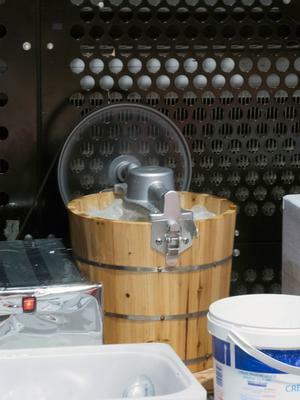 I was even more surprised to hear Chef Artigny state that he adds peanut butter when he prepares his personal recipe! 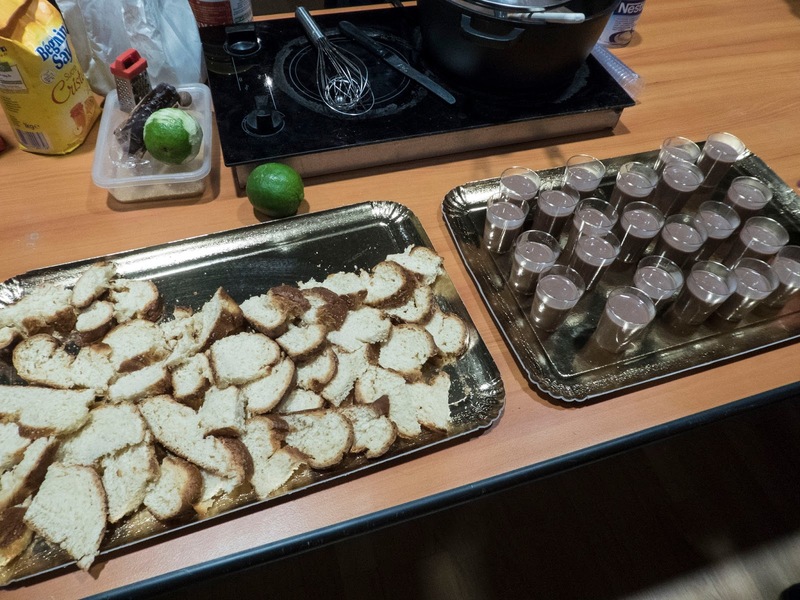 Pain au beurre and hot chocolate are traditionally served together. 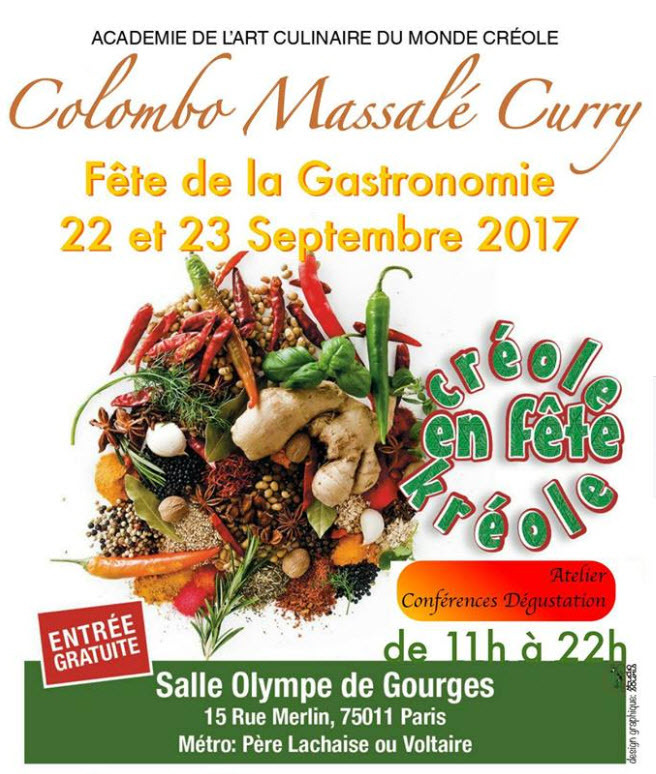 The next two chefs prepared dishes that directly evoked the theme of the event - Colombo Massalé Curry. 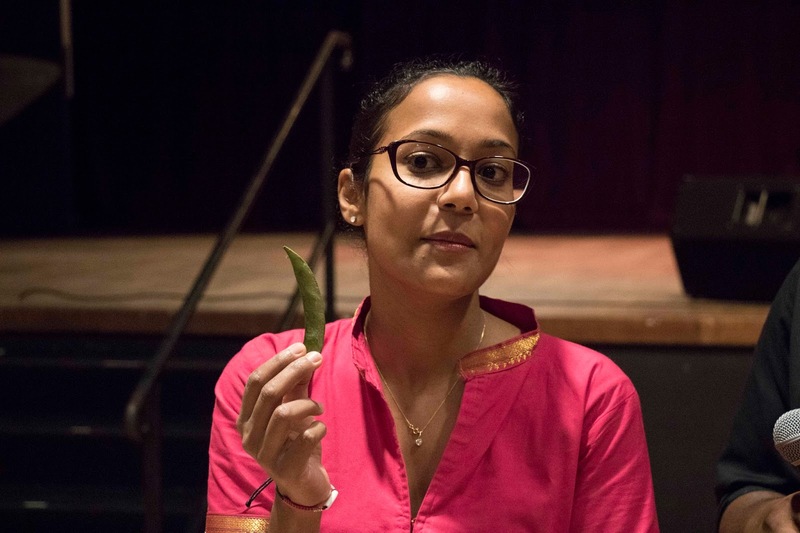 Chef à domicile Vanessa Kichenin, a young woman of Indian descent who was born in Guadeloupe, is the owner of Saveurs Madras. She explained why so many dishes in the French Antilles are influenced by Indian cuisine - it is because people from Chennai (formerly known as Madras), Pondicherry (former French colony in India), and Calcutta migrated there after the abolition of slavery to work in the cane fields as indentured servants. Their culinary customs and madras fabric are indelibly imprinted on the French Antilles. 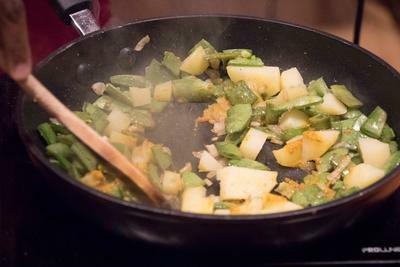 In fact, one of the most commonly served dishes in the Caribbean - colombo - has its origins in India! 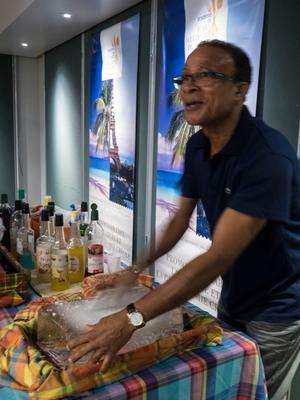 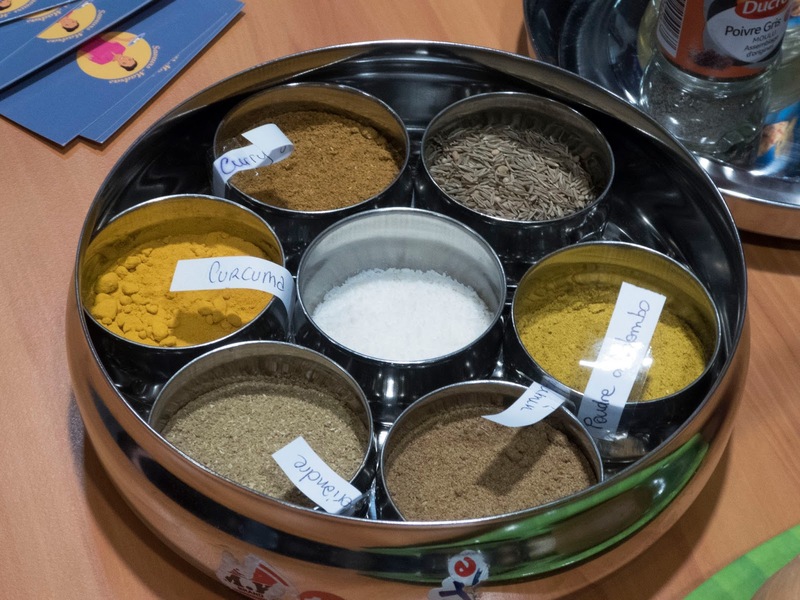 Chef Kichenin talked at length about the spices traditionally used in Indian and French Caribbean cuisine. She explained that curry is a mix of spices, while cumin and curcuma (turmeric) are individual spices. 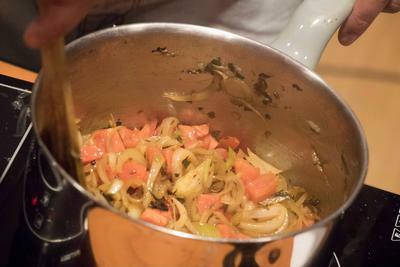 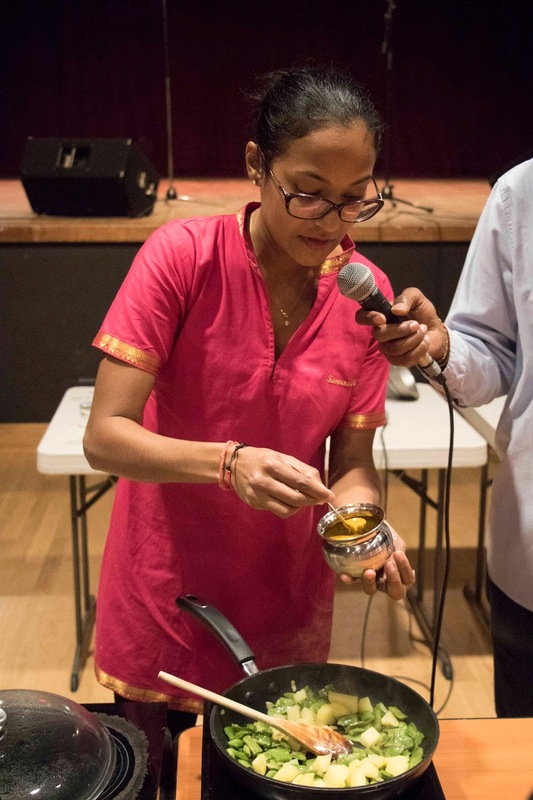 She told us that pâte à massalé (massala sauce), which she used for one of two vegetarian dishes she demonstrated that afternoon, is also composed of many spices. Following Chef Kichenin, Chef à domicile Dev Delavictoire of Paris Curry prepared a kozhambu à poisson (fish curry). While blending his spices before our eyes and preparing the base for the sauce, he talked about his Pondicherry origins and said he feels blessed to have grown up with two extraordinary culinary cultures that have inspired his work as a chef. Chef Delavictoire used mackerel for this dish. 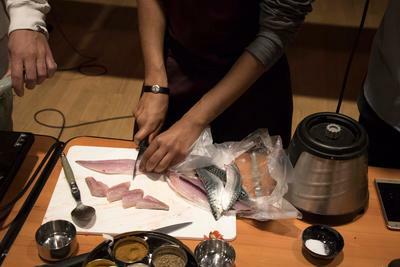 He said white fish such as cod and croaker would also work well, and he counseled avoiding the use of salmon. Having visited south India numerous times, including Chennai and Pondicherry, I felt privileged to have the opportunity to watch Chef Kichenin and Chef Dev Delavictoire prepare dishes that took me straight back to the tables where I enjoyed such fine cuisine! 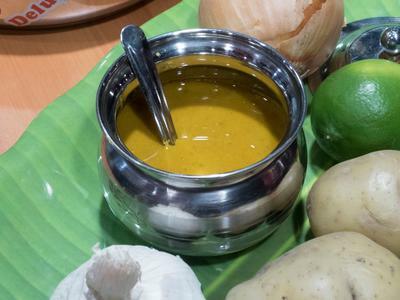 I am familiar enough with the cuisine of this part of the country to know that it can be vastly different from one state to another and even from one city to another! Chef Delavictoire confirmed this during his demonstration. Chef Tharsis returned to the demonstration table to show the audience how to make coconut macaroons. 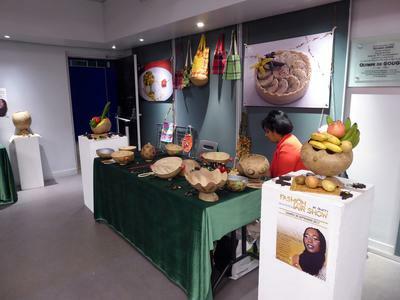 and a woman selling jewelry and crafts. 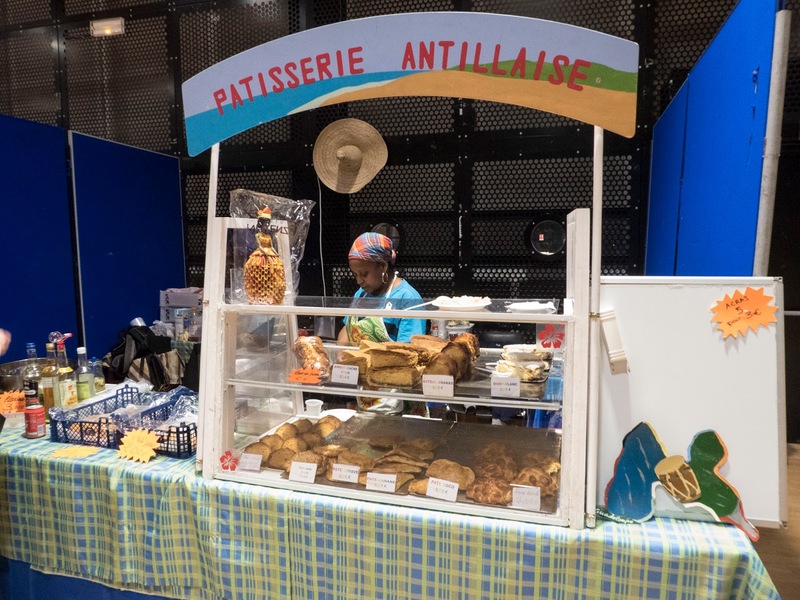 The man at the Antillean pastry stand had a second booth where he prepared shaved ice refreshments (similar to the Slurpees and Icees that you can find in the U.S.). 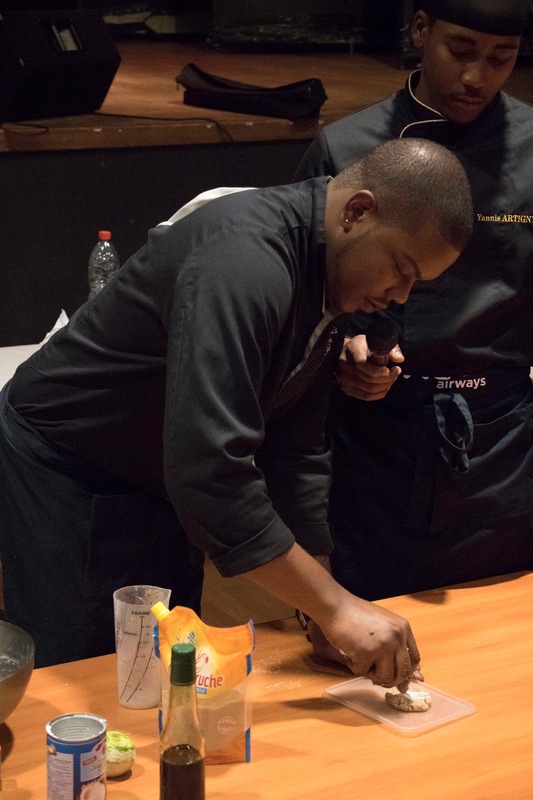 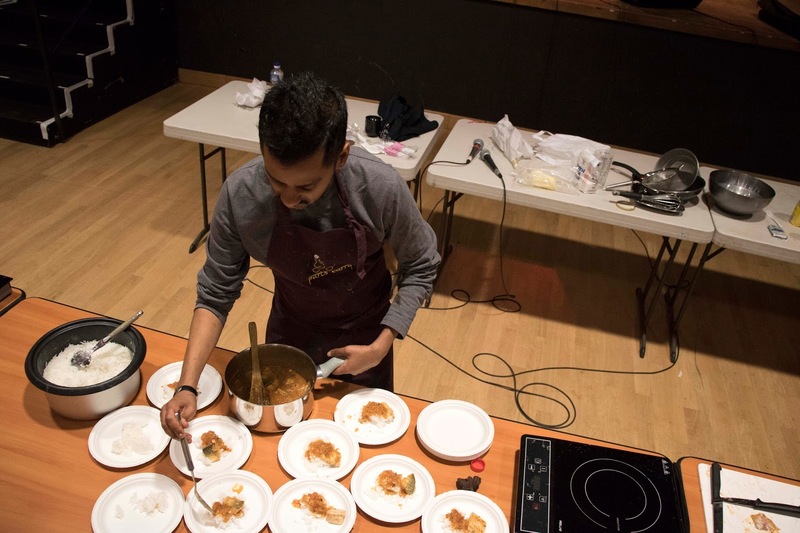 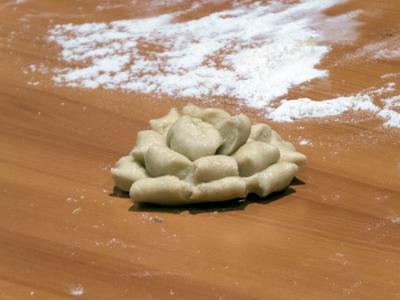 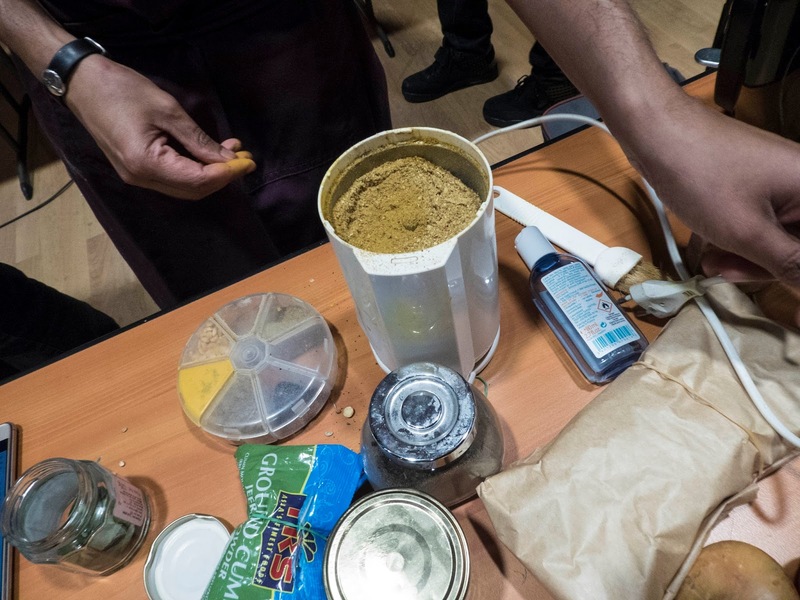 Chef Stephan Sorbon, who served as chef for the private cooking atelier that Entrée to Black Paris organized for J Rêve International's Global Arts and Culture Exchange program in March 2017, demonstrated how to make accras at 6 PM. 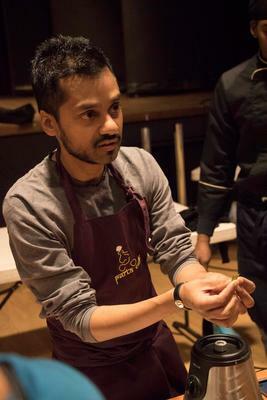 We were unable to stay for his session. 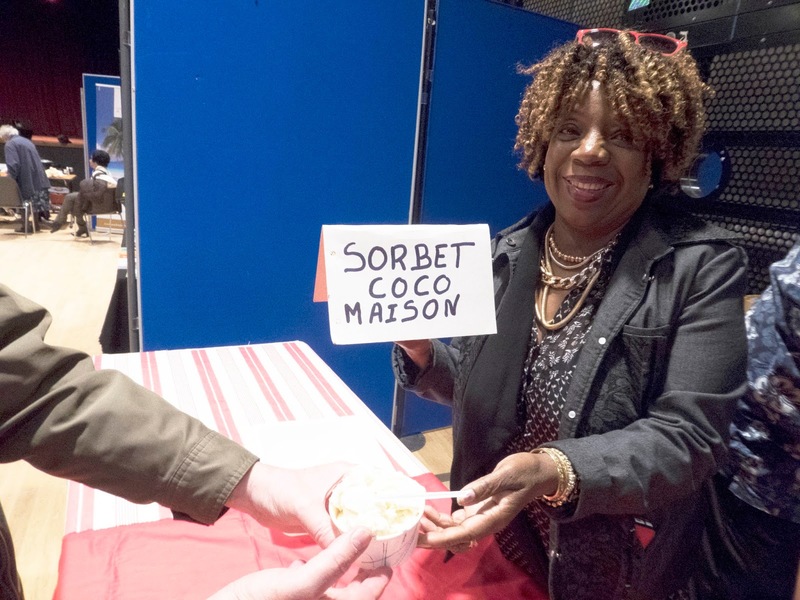 Celebrity chef Babette de Roziers made an appearance during the middle of the afternoon, as did former Deputy Minister of Overseas Departments and current National Assembly Deputy, George Pau-Langevin. As is customary at events organized by the Académie, good food and a good time were had by all!